Many libraries offer consistent days and times for preschool storytimes. In her upcoming course on Afterschool and Out-of-school Programming, Lisa Shaia states that it is important to offer constant days/times/ages when scheduling afterschool programs, too. What schools are the closest to your library? That’s your target group. Look at their school calendars (they should be available online with a list of extracurricular activities). Do you see an opening or a gap in the schedule? There probably won’t be a single day where there isn’t some type of school-sanctioned activity, but do your best and work with what you have. What type of program do you have to offer that is unique? A book club, arts and crafts, STEM, Lego, popular series? Is it being offered elsewhere already? What makes it distinctive? What benefits does your program give to children? Spell it out in your publicity for families. After all, caregivers are the ones who are in charge of their child’s schedule. If they’re excited about it, you’ll get maximum participation! 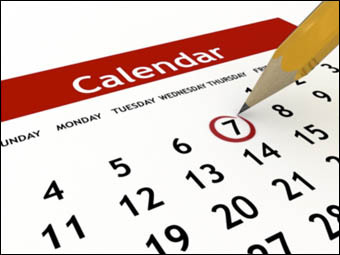 Assign a regular staff person to the day and time that you see fit for the schedule. Children will bond with the librarian and keep coming back for more. Align your schedule with the storytime sessions. Interested in learning more about successful afterschool and out-of-school programming? Registration for this upcoming four-week course is now open!